There’s a ball this weekend. I have nothing appropriate to wear. Jeans and a sweatshirt won’t make the cut. They might not let me attend the ball in my regular clothes. Whatever shall I do? 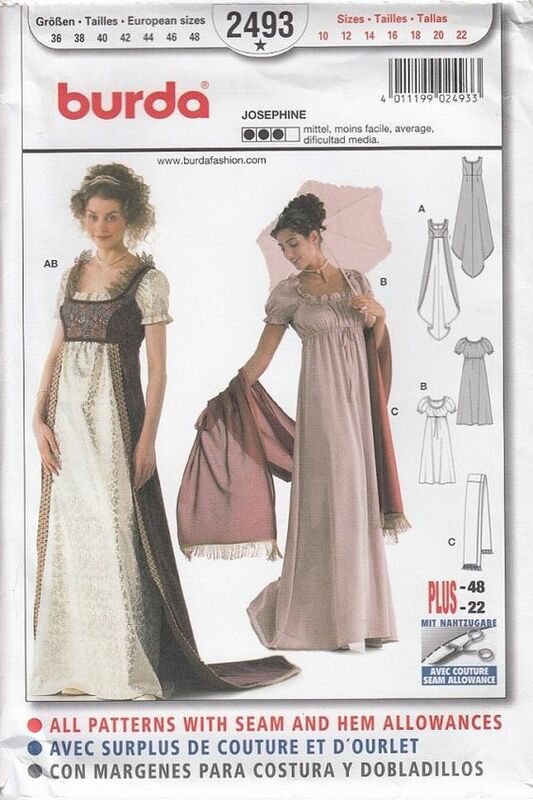 Well, there are a few options for those of you interested in finding a costume for a Jane Austen ball. DIY: You could find a dress pattern and make it yourself. There are links on Pinterest and YouTube. I added a link about a Regency hairstyle. Etsy: This option could save you some from having a panic attack. Since I cannot sew, I would go with this option. Thrift Stores: You might be able to find accessories or jewelry that would work with your costume. Unfortunately, the chances of finding an empire dress might be fairly slim.